This week, a simple picture of an egg became the new reigning champion for the most-liked picture on Instagram, with 46.7 million likes as of Wednesday evening. The phenomenon offered an interesting look at today's meme-fueled internet culture, and its virality was too much for many brands to ignore, with Pop-Tarts, Burger King, and Tarte Cosmetics all joining the conversation. In an attempt to make its mobile app more user-friendly, YouTube became the latest platform to adopt the horizontal swipe navigation. By letting users swipe forward to the next recommended video and back to the last video watched, YouTube is hoping to increase user engagement with content on its mobile app, where 70 percent of viewing takes place. Pinterest introduced “travel personas” to help marketers drive conversions. With 76 percent of people searching on Pinterest making a purchase after seeing travel content from brands, these insights will help marketers understand the attitudes and behaviors of travel Pinners when building campaigns. Facebook continues to evolve Stories with the added ability to share events. The update is aimed at younger users, who have been using Instagram to organize events and are generally migrating away from Facebook. In honor of the 20th anniversary of The Sopranos, HBO used Twitter to hand out themed nicknames to users who engaged with its tweet. 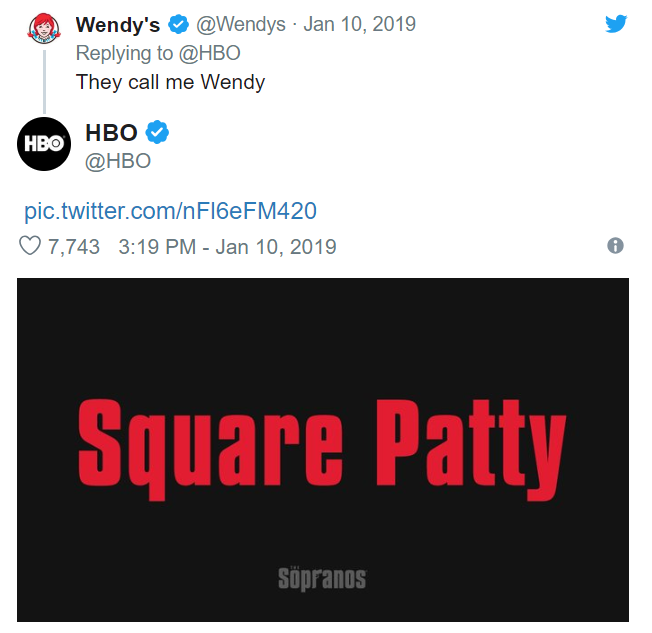 Brands and celebrities joined in on the fun, including Wendy’s, Olive Garden, Macaulay Culkin, and Lin-Manuel Miranda. Marketers have access to more data than ever before. But when developing data-driven marketing strategies, it’s easy to become so obsessed with the numbers that it stifles creativity. In fact, according to Andrea Brimmer, Chief Marketing and PR Officer of Ally Financial, how to balance data with creativity is “the most important question in marketing today.” So how are finance brands using data to fuel their social strategies?